After the Norman Conquest the Archbishop of York secured bishoprics in most of Scotland and this drew it under the 1107 Concordat of London. Then in 1188 the Scottish Church came under the pope. Only the islands of Orkney and Shetland remained part of the Norwegian bishopric, and this continued even after 1266 when the Norse king lost political control. Thus they were bound by the 1277 Norwegian Concordat until the Scottish church was formed in 1472. Scotland was the object of a three-way power struggle between two English archbishops and a Norse one. The English Archbishops of York and Canterbury vied for jurisdiction over the whole country, while the Archbishop for Scandinavia in Lund, and later the Norwegian Archbishop of Trondheim claimed jurisdiction over the Norse possessions of the Orkney and Shetland Islands. Soon after the Conquest the pope began using the Norman clergy to extend his influence into Scotland. In 1072 a council of prelates at Windsor granted jurisdiction over the whole of present-day Scotland to the first Norman Archbishop of York, Thomas of Bayeux. Under the three archbishops, who followed (all of them Normans ), the pope supported York's claim to Scotland. To bolster this against the rival claim of Canterbury, successive Archbishops of York established as many Scottish dioceses as possible. By the time Pope Paschal II got a concordat from the English king in 1107, York had bishoprics in most of Scotland and these then fell under the English concordat. Only the far north was excluded, since this was part of the Norse church which had been established in Shetland and Orkney. The Bishop of Orkney, who presided over all the islands, was appointed by the Archbishop of Lund and later of Trondheim. The far north of mainland Scotland, Caithness, was also claimed by this Norse church whose inhabitants spoke the now extinct Norse language, Norn. During the 12th century the Scotto-Norman church began advancing from the south into this Viking domain. In this rivalry the pope favoured the English church, as he had it better in hand. The story then recounts how the doubting Norse bishop was mysteriously struck blind at his church — (so there) — and, properly contrite, groped his way to pray at the grave of Magnus, whereupon his sight was miraculously restored — (so there, again). This tale appears to show that not only the pope of Rome, but also God himself supported the claims of the English Church. This struggle over ecclesiastical juridiction in the Northern Isles was actually part of a larger trend. Everywhere else in Europe, as well, the twelfth and thirteenth centuries saw the older, more independent churches replaced through the pope's relentless new campaign for Vatican control. This was the age of concordats. William the Lion founded Arbroath Abbey and he was buried there in 1214. 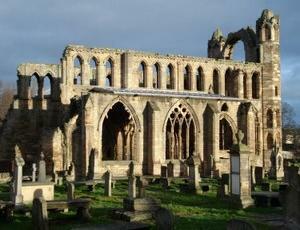 The abbey was later known for the Declaration of Arbroath. This was a letter sent in 1320 by King Robert the Bruce to Pope John XXII. In this the King declared that he had no choice but to fight for Scottish independence, which the Pope condemned, since otherwise his people would depose him. Thus Robert the Bruce neatly shifted the responsibility for disobeying papal edicts from the king to the people ― to his unruly subjects whom the Pope could not control. The two parts of present-day Scotland were finally united in 1472. In February of that year Orkney and Shetland were annexed to the crown of Scotland and in August the pope reacted to this by elevating the Bishop of St. Andrews to an archbishop, thus creating a national church in Scotland. However, this lasted less than a century, for in 1560 the Scottish Reformation led the Scottish church to finally break with Rome. 1. These were Gerard of Rouen, Thomas (nephew of the first Thomas) and Thurstan. 8. The pope tactfuly called Scotland “the special daughter of the Roman Church” (“specialis filia romanae ecclesiae”). 9. Thomas B. Willson, History of the church and state in Norway from the tenth to the sixteenth century, 1903, pp. 210, 287. 10. On 20 February 1472 Orkney and Shetland were annexed to the crown of Scotland as security for the dowry of Princess Margaret, daughter of Christian I, King of Norway and Denmark, and wife of James III of Scotland. On 17 August 1472 the See of St Andrews was made an archbishopric by bull of Pope Sixtus IV.